Symbolic process, myth, science, postmodernism and the environment are skillfully woven together in 13 essays that reflect the timbre of the times in terms of current issues in anthropology, philosophy and religion. 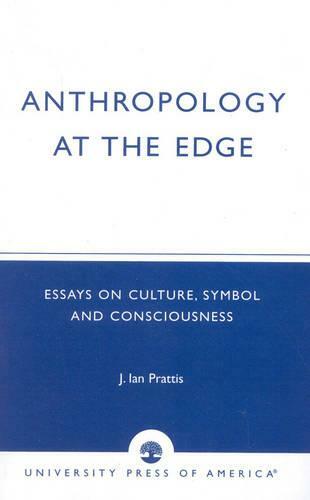 The spectre of consciousness transformation provides a common underlying theme and Prattis provides a novel perspective on "who we are, where did we come from, where are we going". The current furor over the nature of science, postmodernism and symbolic processes in society is the driving force behind this collection of essays. Contents: PART I: Beyond Structuralism; Man and Metaphor; "Parsifal" and Semiotic Structuralism; PART II: The Poetic Turn and Postmodern Reflexivity; Dialectics and Experience in Fieldwork; "Reflections" as Myth; Reflexive Anthropology; (with D. Blair) Opening Ourselves up to the Voyage of Anthropological Practice; PART III: Process and Form; Celtic Festivals and Bilingualism Policy: The Barra Feis; Sacred Dance and Cultural Bridges; Death Breaths and Drivers: The Phenomenology of Shamanic Experiences; Metaphor, Vibration and Form; PART IV: Paradigms; Science and Sages-a Small Matter of Paradigms; PART V: Gaia and the Environment-Two Essays; Issues of Inner Ecology; Myth, Meditation and Transformation of Consciousness; About the Author; Author Index.